Connecticut’s rocky shoreline and its many treacherous ledges and islands in Long Island Sound, constantly kept mariners on the alert, claiming the lives of many during New England’s fierce storms. Lighthouses were built to help the increasing shipping traffic and local mariners during these storms, many on those dangerous islands and ledges. 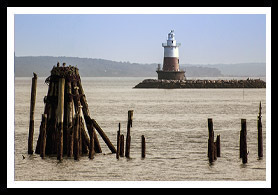 Some of the lighthouses built in the southwestern area of Connecticut were built on some of these dangerous rock islands or ledges to guide traffic into the busy harbors of Norwalk and Stamford around Long Island Sound. Note: Both Great Captain Island and Sheffield Island lights need access by ferries, then you can hike to each lighthouse. Some lighthouses mentioned below, that you can drive to, can also be viewed from various boat tours offered, see Boat Tours below. 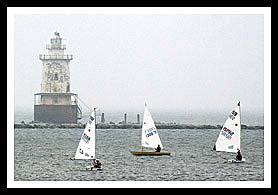 Driving directions are also provided for getting distant views of Greens Ledge and Stamford Harbor lighthouses. 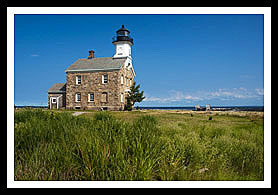 Of all of Connecticut's 20 lighthouses, fifteen lighthouses are best viewed closely by boat, or need a boat or ferry to access the island the lighthouse is on, and only five lighthouses are easily accessible on the mainland by car. 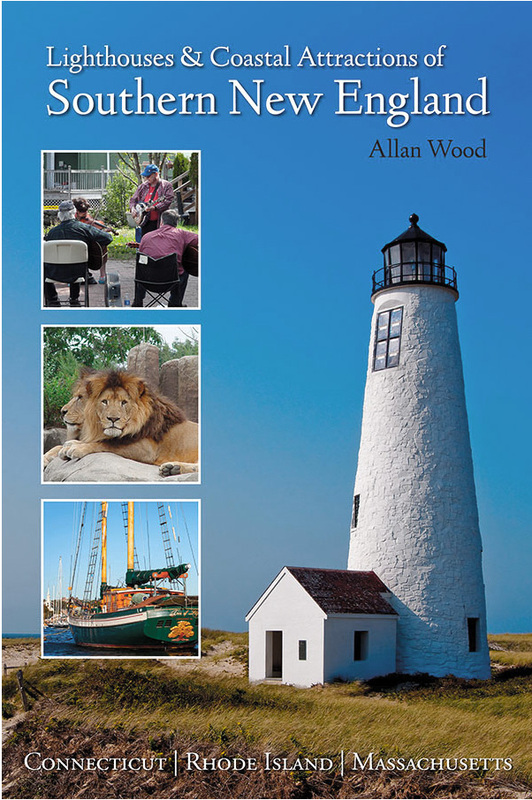 Click any lighthouse link below to find out information about each lighthouse including historic snapshots, directions, more photos, and links for places to visit. Greenwich hosts many summer concert. To hike to Great Captain lighthouse from small Great Captain island, the Greenwich Parks Ferry leaves daily during the summer months. Stamford is rich in history at its South-End district with plenty of picturesque beaches and parks and special Stamford Museum and Nature Center. Norwalk promotes many cultural events in the arts and music, and has its share of special museums, like the Norwalk Museum, and the Stepping Stones Museum nearby for children. The SONO Switch Tower Museum displays mechanisms used for switching trains and train tracks, and you'll enjoy the Maritime Aquarium to view plenty of aquatic exhibits. The Norwalk State Heritage Park is a scenic urban waterfront area in the city surrounding the Norwalk River. 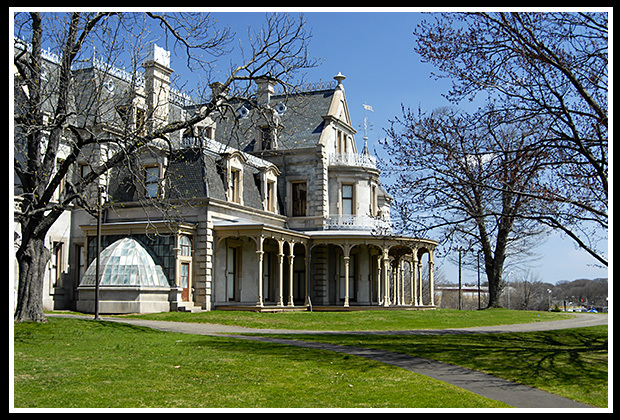 Visit the Lockwood Mathews Mansion Museum, built just after the Civil War. 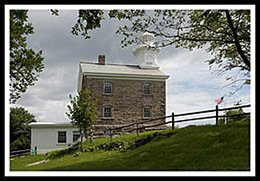 The Norwalk Seaport Association provides daily tours to Sheffield Island and explore Sheffield Island lighthouse during the summer months, with clambakes on the island on Thursdays. The island is also part of the Stewart B. McKinney Wildlife Refuge. Provides ferry access to Sheffield Island from Norwalk. In addition to cruises for marine life study, seals, birding, and TGIF cruises, they offer two different Long Island Sound lighthouse cruises in the Spring. 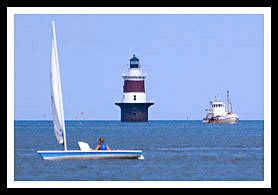 The one for Central Long Island Sound, covers Pecks Ledge, Greens Ledge and Sheffield Island lighthouses in Norwalk, Penfield Reef Lighthouse in Fairfield and Stratford Shoal (Middle Ground) Light. The one for Western Long Island Sound covers Greens Ledge, Sheffield Island, Stamford Harbor, and Great Captain Island. Lighthouses: Pecks Ledge Light, Greens Ledge Light, Sheffield Island Light, Penfield Reef Light, Stratford Shoal Light, Stamford Harbor Light, and Great Captain Island Light.